At RAM 1 ELECTRIC INC, we are dedicated to providing cost-efficient electrical repair, maintenance, and installation services. From a simple lighting installation service to complex rewiring work, our team is here to take care of all your needs for your added convenience. We aim to be your one-stop electrical service provider in Perris, CA and the rest of the Riverside County, CA area. We thrive on professionalism and quality work, thus putting us at the forefront of the business. Take advantage of our services today, and see for yourself why we are the go-to electrical contractor in the areas we serve. 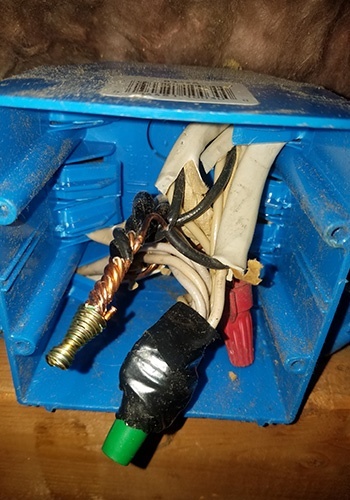 Electrical repair and intricate lighting installation projects are dangerous and should only be handled by licensed professionals. If you’re looking for an electrical contractor who you can trust, look no further than RAM 1 ELECTRIC INC. We have the proper tools and experience needed to deliver the electrical repair solutions you deserve. Give us a call to schedule an electrical service with our team. We hope to work with you soon! Send Us a Review!Send Us a Review!